The Lamborghini auto company has donated a special edition of its Huracan sports car to Pope Francis so he can auction the race car off for charity. Members of the company’s top management presented the car to Francis in the Vatican on Wednesday morning, after which the Pope blessed the vehicle and signed its hood. 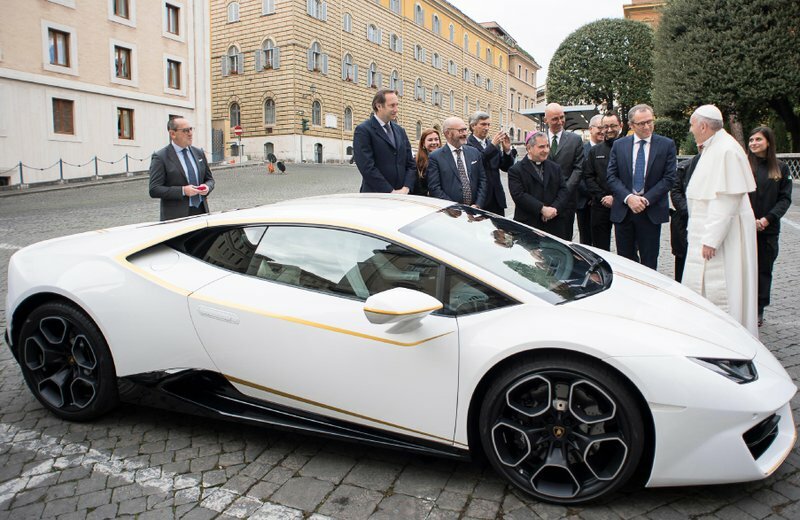 The Vatican announced that the car—in papal colors of white with gold detailing—will be auctioned off by Sotheby’s and the proceeds destined for the reconstruction of Iraq’s Nineveh plain along with other charities. 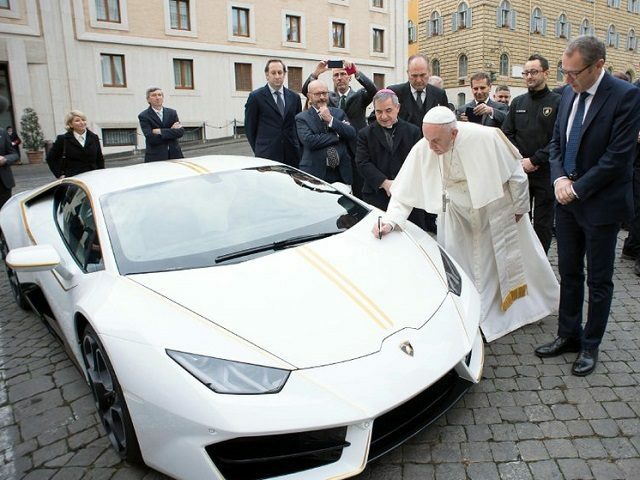 The luxury Lamborghini Huracan lists at over $400,000, but the special edition papal sports car will surely command a considerably higher price at auction. A Harley-Davidson motorcycle donated to the Pope, retailing for some $13,000, fetched an impressive $327,000 at a Paris auction in 2014. Proceeds from that sale went to benefit a homeless shelter and soup kitchen near Rome’s Termini train station. 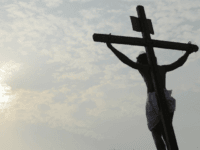 The Pontifical foundation “Aid to the Church in Need” is overseeing the project aimed at helping guarantee the return of Christians to the Nineveh plain by rebuilding homes, public structures and churches. After three years as internally displaced persons in Iraqi Kurdistan, many Christians will finally be able to return to their homes in Iraq, after being driven out by militants of the Islamic State in 2014. Some of the proceeds from the Lamborghini sale will be donated to two other charities, namely the Pope John XXIII Community, which helps women who are victims of trafficking and prostitution, and two Italian associations working in Africa, the GICAM which specializes in hand surgery, and Friends of Central Africa, which focuses its charitable attention on women and children. Last year, the Pope auctioned off three cars he had used during a trip to Poland to help Syrian refugees. The auctioned cars were navy blue VW Golf models, with license plates KI POPE, K2 POPE and K3 POPE.